If you were to visit the Western Wall today, you would see public stalls for men to wrap tefillin, a set of leather straps and small boxes meant to be worn during prayer. You would not see any stalls for women. That is because in Judaism it is a mitzvah, or commandment, for only men to wear tefillin. Women are traditionally exempt from this mitzvah— in other words, they just don’t wear it. In light of the feminist movement, many Jewish people have been challenging traditions as they fight for gender equality. Founded in 1998, the Jewish-feminist organization, Women of the Wall has been doing so when it comes to dressing for prayer at the Western Wall. One of Women of the Wall’s biggest days of the year is coming up. On February 3rd, 2019, for the fourth year in a row and despite many hurdles, the Women of the Wall will be participating in the World Wide Wrap. The World Wide Wrap is a day dedicated to educating people on how to wrap tefillin. The Women of the Wall have joined this project for the past three years as they wish to challenge the notion that tefillin is just for men. “We offer women exciting, engaging, and unique opportunities to reclaim and perform Jewish ritual once perceived as the realm of men, encouraging them to create strong Jewish identities through these rituals,” the executive director of the Women of the Wall, Leslie Sachs, recently said to the Times of Israel. The Women of the Wall will be participating in the World Wide wrap by setting up a tefillin-wrapping stand in Jerusalem, alongside many stands made just for men. However, that victory was not easy nor was it perfect. It took multiple appeals over many months, and the stand has not been approved to be at their desired location. The Women of the Wall initially wished to have their stand be at Jaffa Street in Jerusalem, located in proximity to the Chabad Stand, but now they are farther away, in a different part of town. Still, their feat is apparent. The feminist movement and actions of the Women of the Wall have resulted in more women wearing tefillin, but it’s not the first time in history that this has happened. To cite Talmud Eruvin Daf 96, King David of Israel’s wife, Queen Michal, wore tefillin as it was allowed by the Sages. King David ruled around 1000 B.C.E. Additionally, it has been recorded that in Medieval Germany and France, women wore tefillin. R. Jacob b. Meir Tam (c. 1100–1171) attests to this, as does Princeton University-published author Elisheva Baumgartin. 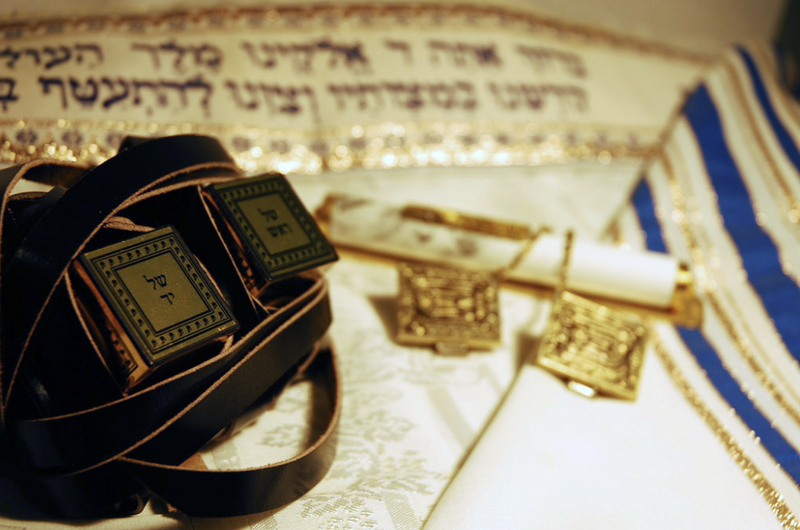 Finally, Rashi’s son, Rabenu Tam, ruled that if a woman were to perform a non-traditional mitzvot like wearing tefillin, it would be permissible if she were to perform the appropriate blessing. Therefore, while the work of the Women of the Wall may seem shocking and unfounded at first, there is historical evidence in support of it. While I personally do not plan on wearing tefillin anytime soon, I would fully respect it if another girl or woman were to do so, and as a feminist I appreciate the fight that the Women of the Wall are fighting. I ask that you do the same.